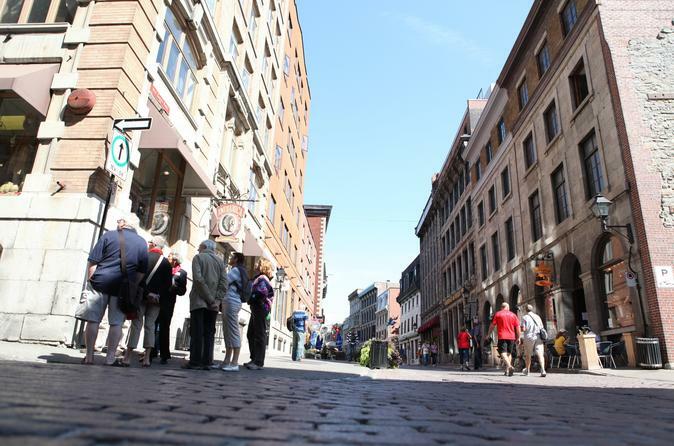 Enjoy this semi-private walking tour of Old Montréal (maximum 6 participants per group) led by a professional local guide who will share its knowledge and passion. The Old Montréal VIP circuit includes the interior visit of Notre-Dame Basilica, goes across the historical borough from place d’Armes to place Jacques-Cartier through Notre-Dame and Saint-Paul Streets, and ends at Place Royale. Venture inside Notre-Dame basilica and admire its beautiful interior. Stroll through the charming cobblestone streets and winding alleys of the historic district, revealing its rich heritage. Make a nice rest-stop treat along the way. In short, this visit is filled with interesting historical, architectural and anecdotal information that highlight the best of Montréal’s birthplace. Your guide might even show you some hidden gems that you will never find in a travel guide. Join your expert guide on this wonderful tour!